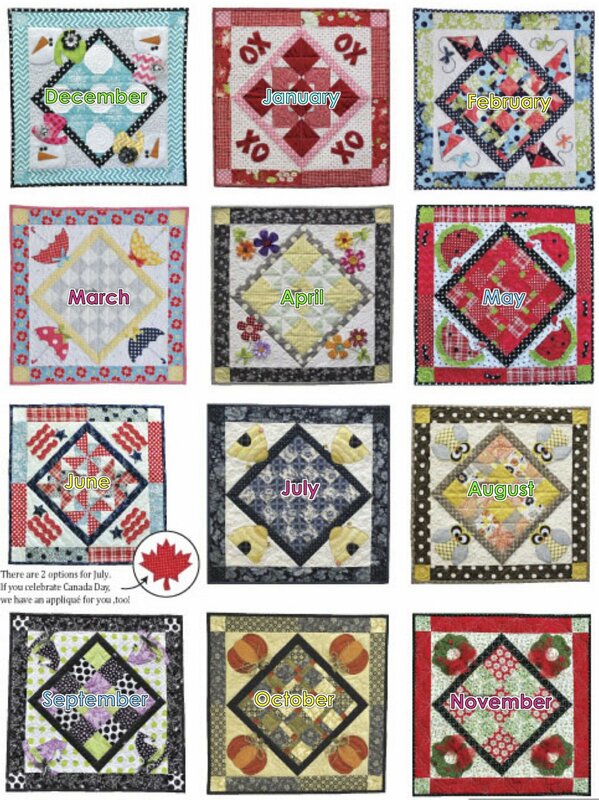 Make a fun table topper each month. Each table topper has a different piecing technique and optional machine embroidery applique. Each month's design can be done with traditional applique.